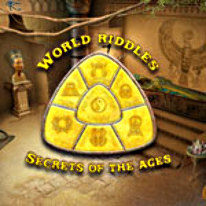 The long-awaited continuation to the World Riddles series! Now the riddles are even more interesting and vivid! This time you will be learning the secrets of the Seven Great Civilizations. Travelling through time, you will zoom from the times of the Roman gladiators to the times of Tibetan monks; after visiting the opulent tombs of the Egyptian pharaohs, you will see the beauty of the Aztec pyramids. But your trip will be far from simple. Step by step, by using your mind, wits and attentiveness, you will accumulate Civilization Points. With these points, you can restore a civilization. Once you completely restore it, you will receive a part of the Medallion and you can proceed further. Gather all seven parts of the Medallion and become the Bearer of the Secrets of the Ages!